how-to webisodes. The Session Players appeals to the millions who enjoy music and is of special interest to those who have ever wondered about being a musician or recording artist. We follow a group of session players who arrive at the studio knowing little or nothing about what they will be asked to play. They are given either cryptic notes or complex musical instructions on how the music should be played. In a matter of minutes, they create music that will be played and replayed for years. Sometimes decades. Our first episodes are set in Nashville, one of the world's busiest recording centers, where many songs are recorded by groups of musicians in a single session. 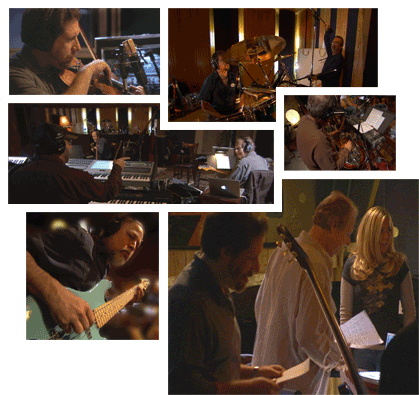 The Session Players is a behind-the-scenes look at the people and process of record production, from the delivery of the equipment to the finishing touches of the performance.